Hi I’m Roo! 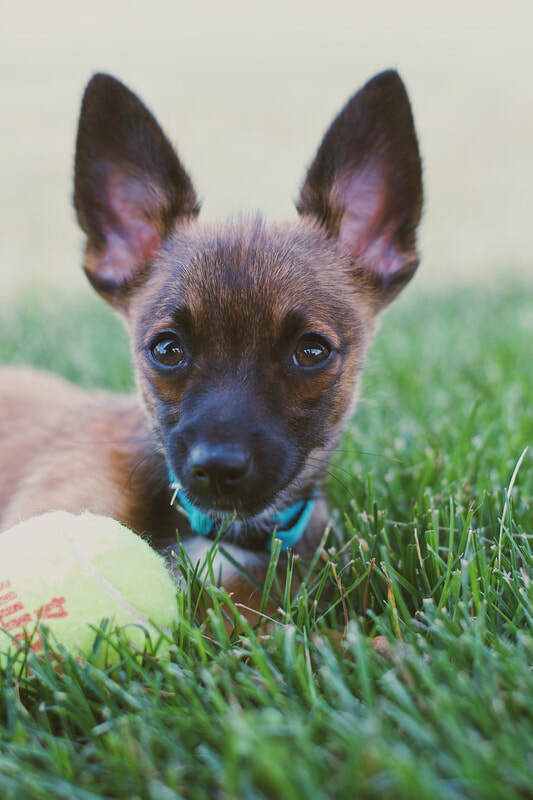 I’m a 12 week old Chihuahua mix. My foster Mom named me Roo because I like to jump around like a kangaroo. I’m in search of the perfect family to call my own! My foster Mom says I am the best puppy ever, and I don’t disagree :) I love to snuggle and give LOTS of kisses. I really really don’t like my crate, so my foster Mom only puts me in there when she leaves the house so I am kept safe. At night I sleep in my foster Mom's bed and I absolutely love it. I have lots of energy and I love to run around and play! There is a big grassy field by my foster home, and I go there once a day to play. I love to chase my tennis ball, but I won’t always bring it back. I am learning to go potty outside and I am doing very well as long as you keep a close eye on me and take me out often. I would love to go to a home with another doggy sibling, preferably a small one because the big ones make me nervous. I love my stuffed animals and I like to carry them around with me. I’m looking for a forever family that loves to snuggle, likes to run around and play, doesn’t mind my goofiness, and most of all a family who has lots and lots of love to give me! If you think you are the prefect family for me and would like to meet me fill out an adoption application.